Voters in Sequoyah County who want to have absentee ballots mailed to them for the Sept. 12 Special Brushy Election SD C-3 should apply now, County Election Board Secretary Cindy Osborn said. Although the county election board can accept applications for absentee ballots until 5 p.m. Sept. 6, Osborn urged voters who want to vote by absentee ballot to apply early. 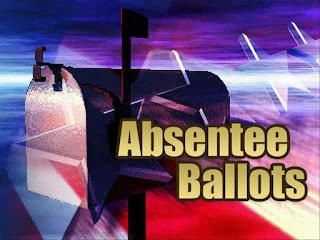 Absentee ballot application forms are available at the county election board at 110 E. Creek, Sallisaw, 74955. An online version of the form can be filled out and submitted electronically at: www.elections.ok.gov. A print form can also be downloaded at that address. •Voters who are physically incapacitated and voters who care for physically incapacitated persons who cannot be left unattended may vote absentee. They may apply only by mail, by fax, by email, online or via an agent who is at least 16 years of age and who is not employed by or related within the third degree of consanguinity or affinity to any person whose name appears on the ballot. 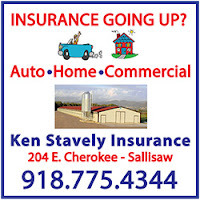 •Voters who are confined to nursing homes in the county may vote absentee. An Absentee Voting Board actually goes to the nursing home a few days before the election, sets up a small polling place and allows these persons to vote under circumstances similar to those at a regular precinct polling place. They may apply only by mail, by fax, by email, online or via an agent who is at least 16 years of age and who is not employed by or related within the third degree of consanguinity or affinity to any person whose name appears on the ballot. 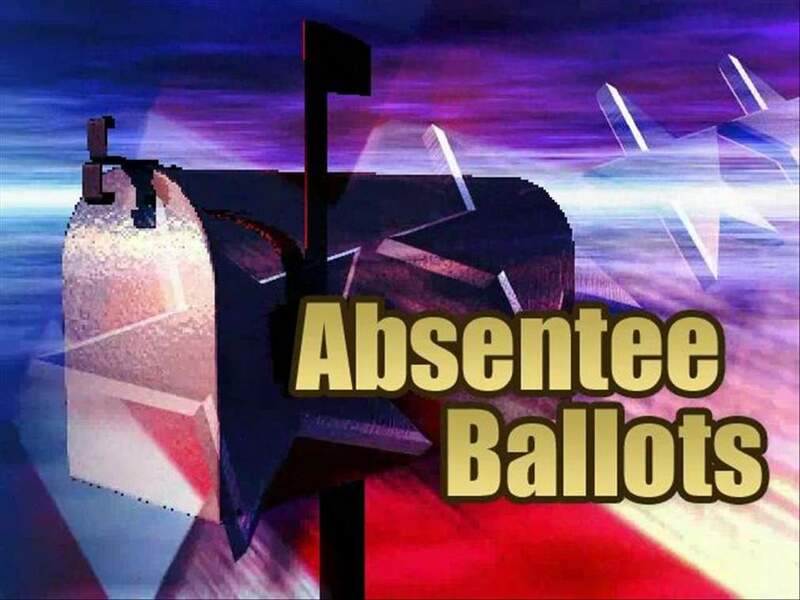 •Military personnel and residents of the county living overseas and the spouses and dependents of each group are eligible receive absentee ballots. These voters may apply only by mail, fax, or by email. Military personnel should contact the Voting Service Officers in their units for application forms and additional information or visit the Federal Voting Assistance Program website (www.fvap.gov/oklahoma) for more information and instructions. Residents of Oklahoma living overseas can obtain the same materials from any United States military installation and from U.S. Embassies and Consulates as well as on the FVAP website. Dwight Mission, northwest of Sallisaw, will hold a Fall Craft Retreat Sept. 8 through 10. Crafters will be making a Halloween tulle wreath, pumpkin blocks and a reversible board with a scarecrow on one side and a snowman on the other. Or, if they prefer to opt out of one of the crafts, Dwight Mission offers lovely grounds and pavilions. Options also include bringing your own crafts or book to read. This free time could also be used to take a nap, a walk, or have your own personal time with your thoughts. The cost is $30 to $35 for the materials and $100 for two nights’ accommodations at the mission and four meals. Children age 7 and under may eat and stay free, while parents only pay for their art. Participants will arrive on Friday evening and be welcomed at a snack reception before settling into their rooms. The dining hall will serve breakfast, lunch and dinner on Saturday and a brunch on Sunday. Prospective participants may register on line at dwightmission.campbrainregistration.com. For more information contact the mission at 918-775-2018. The newly-named Shoppers Value Foods, formerly the old Marvin’s Food Warehouse, reopened Thursday and was greeted by a ribbon cutting sponsored by the Sallisaw Chamber of Commerce. 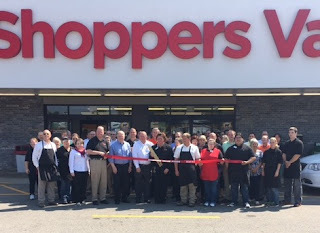 The old store has a new remodeled look, a new sign and a new pricing concept. Shoppers should expect to pay only 10 percent above what the market paid for the item. The store is now open for business. Oklahoma Blood Institute is kicking off football season with this season’s new “Win from Within” Bedlam t-shirts! Sallisaw Walmart will host a blood drive with the Oklahoma Blood Institute from 10 a.m. to 2:30 p.m. Sept. 9 on the bloodmobile. All donors will receive a free t-shirt in their choice of OU crimson or OSU orange. Anyone who is healthy and 16 years old* or older can make a life-saving difference for their fellow Oklahomans by giving blood. Health screenings and Donor Rewards points, redeemable for gift cards and apparel in Oklahoma Blood Institute’s online store, are provided to donors. If donors opt not to take the t-shirt, funds will be given to Global Blood Fund, a charity organization helping to procure much-needed blood center supplies in developing countries. Appointments to give blood are not required but can be made by visiting obi.org or calling Greg at 479-652-2362. * 16 year olds must weigh at least 125 pounds and provide signed parental permission; 17 year olds must weigh at least 125 pounds; 18+ year olds must weigh at least 110 pounds. 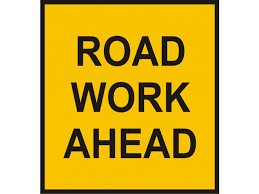 A $2.5 million Cherokee Nation resurfacing project is kicking off Tuesday on Moonshine Road in Sequoyah County, about four miles north of Vian and two miles south of Gore. Crews will remove and replace eight inches of surface on more than eight miles of the road. The project will also include minor work on three bridges, replacement of guardrail, and installation of new signs and road stripes. “The improvements to Moonshine Road will provide safer transportation for Cherokees and non-Cherokees alike and will benefit the Sequoyah County community as a whole,” Cherokee Nation Department of Transportation Director Michael Lynn said. Moonshine Road is expected to remain open to local traffic through the duration of the project, with only partial lane closures. Weather-pending, construction will wrap up in December. The Sequoyah County project is funded by the Cherokee Nation through the Federal Highway Tribal Transportation Program and is a joint venture with Sequoyah County officials. Cherokee Nation awarded the project to Glover and Associates of Muskogee. A 23-year-old Gore man was killed in a one-vehicle crash early Wednesday in Muskogee County, the Oklahoma Highway Patrol (OHP) reported. 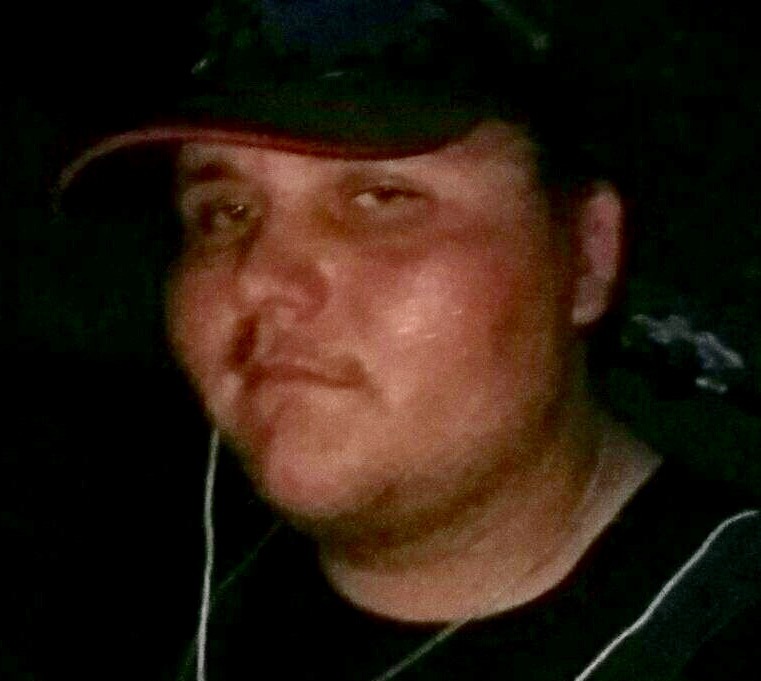 The OHP reported Wyatt Bruce was driving a 2008 Jeep Wrangler west on State Highway 10A when he ran off the road to the south side, striking a trailer. The vehicle then continued west striking a stationary vehicle, then struck a tree and overturned. The vehicle came to rest right side up and facing east, the OHP reported. Bruce was pronounced dead at the scene by Muskogee EMS. The crash occurred at about 6:13 a.m. Wednesday, the OHP reported. Police officers are sometimes called upon to do the unusual…like deliver a baby. 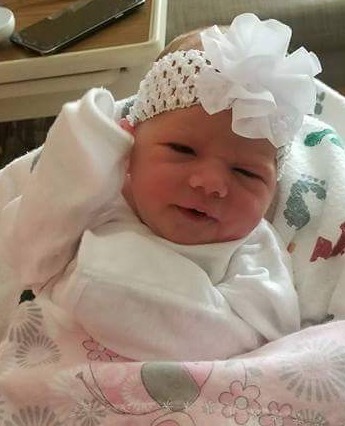 But it’s seldom they have to deliver their own grandchild. Nevertheless, that is what Muldrow Police Chief George Lawson nearly had to do on Friday. That’s when his new granddaughter, Wilson Rosalynne, came into the world a little bit early. Little Wilson Rosalynne wasn’t due until Sept. 17. That’s why Lawson, his wife Janie, and Nanny Martha, Janie’s mom, weren’t worried, or prepared for that phone call. Lawson said he had just come back from getting eggrolls for wife and a granddaughter already visiting. But he dropped those eggrolls and issued orders. And the Muldrow Police Chief, known in family circles as PopPop, left and went to his daughter’s aid. Childbirth is not a new experience for Krysta. She has two other children, Lawson James, age 13 months, and Noa Graceanne, age 8. And Krysta is a nurse, so the situation was pretty much in hand, and Nanny Martha was also present to assist. Lawson said baby Wilson had already arrived by the time he arrived, and all was fine. On the phone with emergency personnel, Lawson said they wanted to know if the cord had been cut. Oops, no it hadn’t. So the new grandfather got to cut the cord himself. He proudly announces that Wilson Rosalynne weighed in at six pounds and one ounce, but he was so excited he can’t remember how long she was. Krysta and Wilson Rosalynne were soon transported to Mercy Hospital in Fort Smith, and both were in such good shape they got to come home, again, on Sunday. Ironically, PopPop, now grandfather to five, said Krysta’s cousin was one of the EMTs who transported her to the hospital. Our radio station and the Salvation Army are partnering in an effort to help Texans in their hour of need. 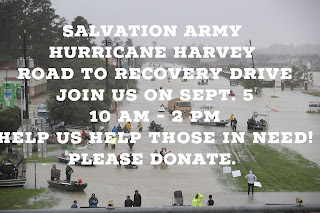 On Tuesday, Sept. 5 you can join with us by donating to this relief effort. Our phone lines will be open from 10 a.m. to 2 p.m. taking your calls to pledge to donate. You can make your donation by credit card or you can make a pledge to donate cash, check or money order. If you make a pledge, we will mail you an addressed, stamped envelope for you to return your pledged money directly to the Salvation Army. 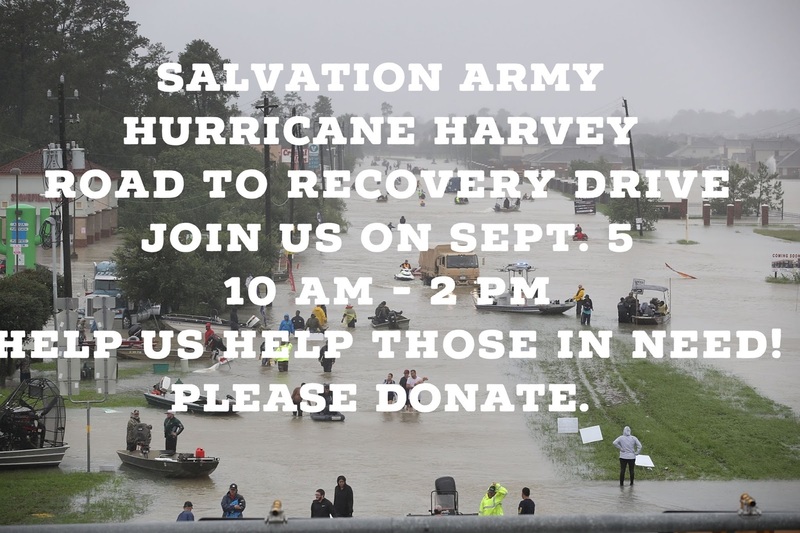 100% of every dollar given during this fundraiser will go directly to our local Salvation Army chapter to be used in the Hurricane Harvey relief effort. Your money will immediately help and benefit those in need due to Hurricane Harvey and the devastation left in its wake. The local chapter of the Salvation Army and numerous local volunteers are already providing shelter, food, and clothing to victims in Houston and surrounding areas. The need is great! Not only is the current need great, but the long-term recovery looms and predictors forecast this is the worst catastrophe in U.S. history, with losses expected to be in the billions of dollars. The need for financial assistance is critical. 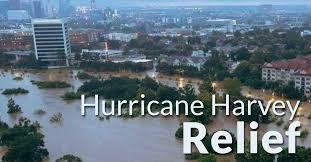 Donate on Sept. 5 to help our neighbors survive and recover from this historic event. Every dollar helps. Call the studio line on Sept. 5 from 10 a.m. to 2 p.m. to donate during our fundraiser. And thank you for your help. At the Miss Cherokee competition on Saturday are, from the left, second runner-up Amari McCoy of Sallisaw, Miss Cherokee Madison Whitekiller, Cherokee Nation Principal Chief Bill John Baker and first runner-up LaNice Belcher, also from Sallisaw. Eighteen-year-old Madison Whitekiller, a Northeastern State University student and former Junior Miss Cherokee from Verdigris, is the 2017-18 Miss Cherokee. The first and second runner-up contestants are both from Sallisaw. They are LaNice Belcher, 19, of Sallisaw, who earned a $2,000 scholarship, and the second runner-up was Amari McCoy, 20, of Sallisaw, who earned a $1,000 scholarship. Whitekiller was crowned Saturday during a leadership competition at Cornerstone Fellowship Church in Tahlequah. As Miss Cherokee, Whitekiller will represent the Cherokee Nation as a goodwill ambassador to promote the government, history, language and culture of the tribe for the next year. She also receives a $3,000 scholarship. Whitekiller is the daughter of Suzy Whitekiller. 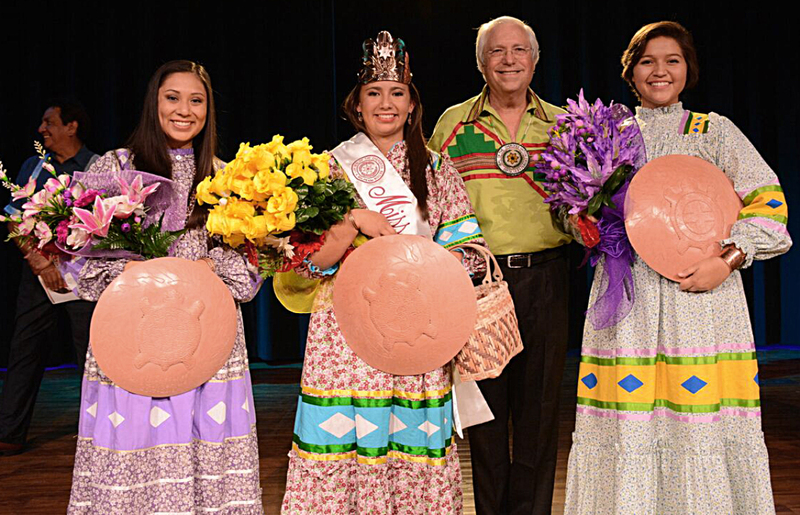 She competed against six other young women for the Miss Cherokee crown. The Miss Cherokee Leadership Competition judges contestants on their use of the Cherokee language, cultural and platform presentations, and responses to impromptu questions. For her cultural presentation during the Miss Cherokee Leadership Competition, Whitekiller told the traditional Cherokee story of why the cornhusk doll has no face. Her platform focused on empowering Cherokee women. Whitekiller served as Junior Miss Cherokee 2015-16. The Sallisaw High School Class of 1967 is planning their 50th reunion for Oct. 14. Bill Poindexter, who is helping plan the reunion, said the Class of 1967 was the largest class to graduate from Sallisaw High School at that time with 115 graduates. Those planning to attend are reminded to bring old pictures and memory books to share with others, and are reminded to be respectful of others and not to embarrass or make fun of anyone. 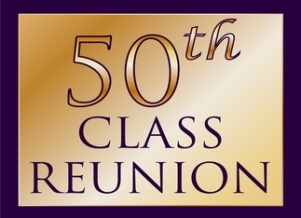 Invited to attend are all classmates who attended school with the Class of 1967, their spouses, and classmates who moved before graduation or entered the military and the adult children of classmates who have passed away, and the friends and family of classmates. The actual reunion will be held from noon to 3 p.m. on Oct. 14 at the Sallisaw High School cafeteria. The program will include the welcome by Larry Fears; a salute to veterans by James Peterson; a memorial for those who have passed away by Poindexter; Ice Breakers by Dr. Max and Linda Yancy; a class photo by Sara Bracket; and a Mix and Mingle, with foods and visiting. Informal visits include meeting at 6 p.m. on Oct. 13 at Roma’s Restaurant for dinner, then going to the Sallisaw football game. 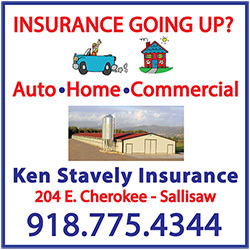 On the same Saturday Sallisaw Main Street will be hosting their annual car show, barbeque and music fest on Oak Street, which is expected to feature the music of Connie and Steve Hawkins, also Sallisaw graduates. Poindexter said classmates from as far away as Alaska and Nevada are expected to attend. Sallisaw police have arrested two persons believed involved in a hit-and-run on Tuesday that left a male victim in critical condition. Capt. Jeff Murray said Kelton Chandler, 24, and Precious Sutton, 22, were arrested early Wednesday. Chandler was booked into the city jail on charges of assault and battery with a deadly weapon, leaving the scene of an accident in which there were injuries, and child endangerment. Sutton was booked for being an accessory to a felony. 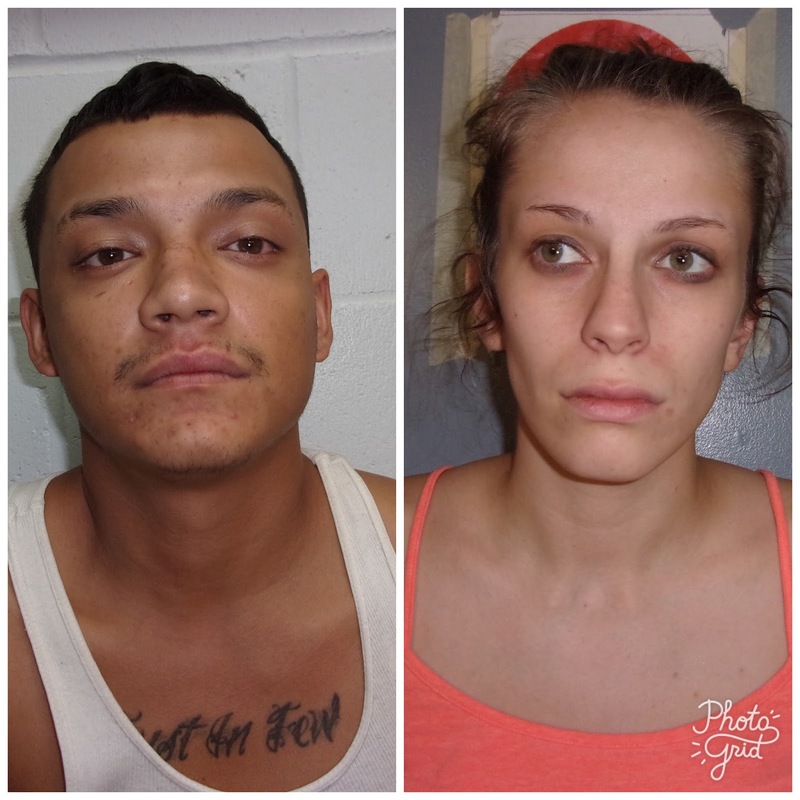 Both were transported to the Sequoyah County Jail after their arrest. The couple’s three children, ages 5 and 2 years old and 10 months old, were placed in the custody of a relative. The three children and their parents, Chandler and Sutton, were all in the vehicle when the alleged hit-and-run took place, Murray said. The suspect's vehicle, a gold Buick LeSabre, was found at about 1 a.m. Wednesday near Lake Tenkiller, Murray said. The car was reported to have an Arkansas tag, which helped investigators find the vehicle and the suspects. Murray said the hit-and-run occurred at about 5 p.m. Tuesday on Hickory Street, near Charlie’s Chicken on Cherokee Street in Sallisaw. The hit-and-run victim is Daren Nibarger, 38, of Sallisaw. He is reported in critical condition with head injuries in Washington Regional Medical Center in Fayetteville. Murray said witnesses reported Nibarger yelled at the vehicle to slow down shortly before being struck. Murray said it is believed that the suspects are originally from northwest Arkansas and recently moved to near Lake Tenkiller and Fin and Feather Resort. One individual has been transported by Life Flight after being struck in a hit-and-run accident. 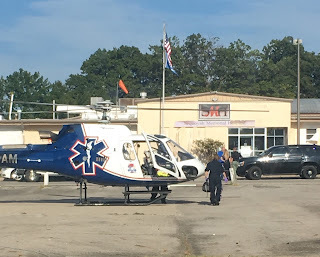 Eye witnesses report that a male individual was exiting a vehicle near the corner of Hickory and Cherokee near Charlie's Chicken when he was struck by another vehicle which left the scene. Police are searching for a gold 4-door Buick with Arkansas license plate 843-UKU. The vehicle should have a damaged, driver's side tail light, according to Sallisaw Chief of Police Terry Franklin. The identity of the driver is unknown at this time. The name of the injured individual has not been released. Reports indicate that he sustained severe head injuries. If you see the vehicle please contact the Sallisaw Police Dept. at 918-775-4141. Walmart Sallisaw will host a blood drive with Oklahoma Blood Institute from 10 a.m. to 2:30 p.m. Sept. 9 on the bloodmobile. Relief efforts for those suffering from Hurricane Harvey continue throughout the nation and in Sequoyah County. Sonic Drive In and Journey Church in Sallisaw and Sallisaw’s Garden Walk Apartments and affiliates are all accepting donations for the victims in Texas. Sonic Drive In and Journey Church will be accepting donations through Friday for delivery by volunteers over the weekend. The apartment complexes, which include Garden Walk and Rose Rock in Sallisaw and Savannah Park in Vian, will be accepting donations through Sept. 9. However, they plan the first delivery on Thursday. *toiletries such as toilet paper, shampoo, body soap, toothbrushes and paste, deodorant, etc. In addition Fred Chapman of Vian recommends donation be made for the hurricane and flood victims through Sheep Dog Impact Assistance. Donations may be made on the organization’s web site at sheedogia.org through Pay Pal. Information on donating is available on the web site in the top right hand corner. Chapman said the organization, although small, is made up of first responders and retired military. The Sheep Dog chapter in Benton, Ark., is sending a team to Houston and the surrounding area to offer whatever aid is needed. “It’s just a little outfit of trained, dedicated people who want to help,” Chapman said. Donations may also be made through the Red Cross by donating on the Red Cross web site, by calling 1-800-RED-CROSS, or by texting HARVEY to 90999, which automatically donates $10 to the Red Cross. To donate to the Salvation Army visit their web site at helpsalvationarmy.org , call 1-800-SAL-ARMY, or text STORM to 51555. The Pervasive Parenting Center (PPC) will provide free autism screenings from 8 a.m. to 4 p.m. on Sept. 25. The screenings will be by appointment only at Carl Albert State College in Sallisaw. Toney said screening provides families who have concerns about their child's development to quickly and efficiently find out if their child is at risk for Autism Spectrum Disorder (ASD) and needs further assessment. Screening is not the same thing as diagnostic evaluation and cannot identify whether a child does or does not have autism. Instead, screening is a tool, or stepping stone, that can determine what the next step should be. If you have concerns about your child's development, screening can show possible risk for ASD or other delays and what sort of further assessment may be needed. All screenings include resources and referrals to help the family take the next steps toward providing for their child's long-term developmental health. According to the Center for Disease Control 1 in 68 are diagnosed with the neurological disorder. 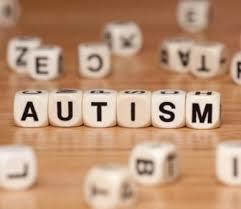 ASD affects children’s social and language skills. The PPC was created to help families in eastern Oklahoma find resources available for people with disabilities. For more information, or for an appointment call (918) 647-1255, or tyarbery@pervasiveparentingcenter.org. Mary Adair of Sequoyah County. 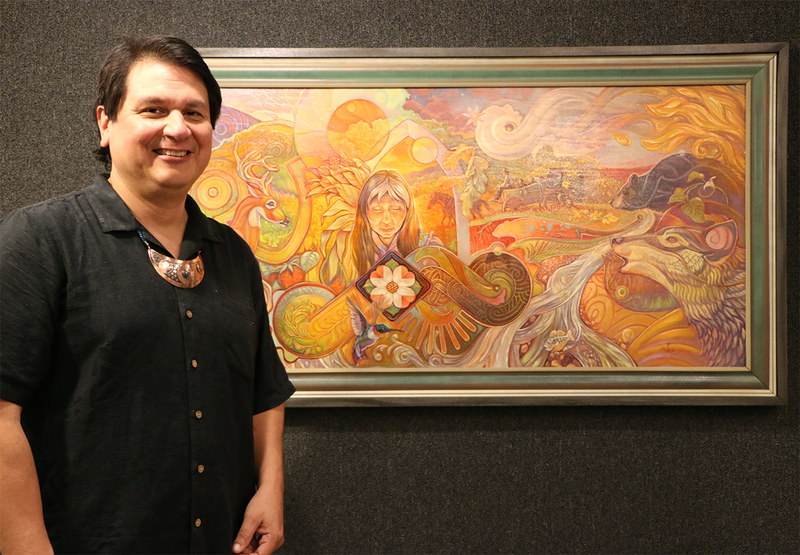 The Cherokee National Historical Society announced the winners of the 22nd Annual Cherokee Homecoming Art Show at an awards reception Friday night. For a complete list of winners and photos from the reception, please visit www.Anadisgoi.com. 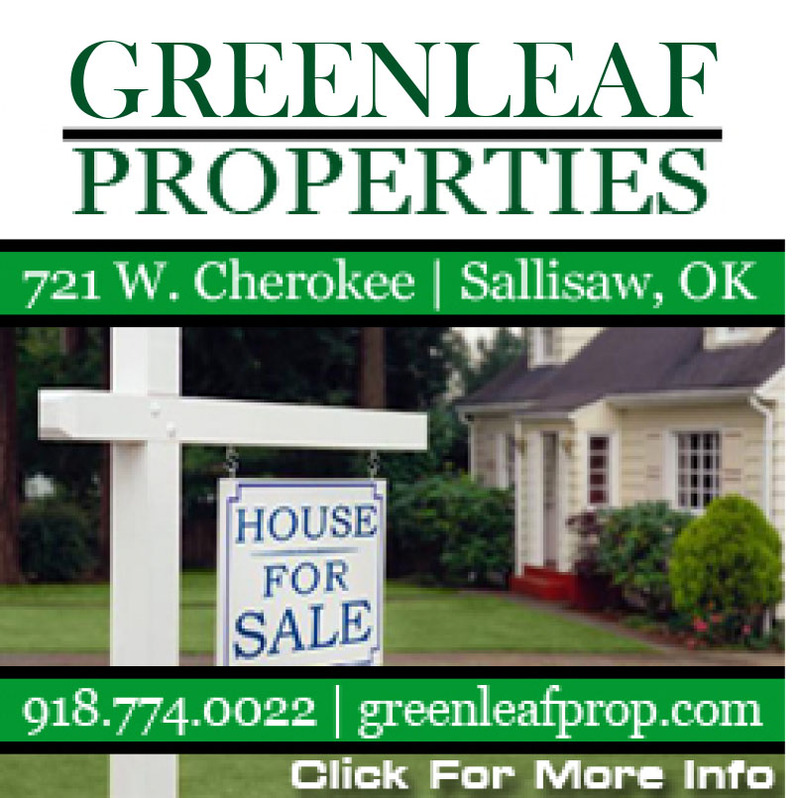 Sallisaw Main Street has launched a new web site that will keep the community updated on the activities of the organization that promotes the city. 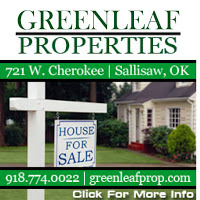 “We are so happy to announce the launching of our Sallisaw Main Street web site. This site has been tailor made to reflect our purpose in the community and our accomplishments thus far. 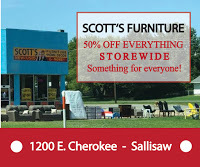 Please access our web site at sallisawmainstreet.org and catch up on our upcoming events. If you have a passion for our community we invite you to log on to our website for more information concerning our organization. Come grow with us!” the web site announces. Sallisaw Main Street lists the organization’s purpose, its programs and its events. The next event is Thursday Night Local on Sept. 21 on the lawn at Stanley Tubbs Memorial Library. This event includes food – Indian tacos and funnel cakes – made by Sallisaw Main Street members themselves in their own food trucks. Thursday night includes pop up shops of all kinds, music and a movie aimed at families. “The Secret Life of Pets” is the movie scheduled for Sept. 21. Participants may also sign up for the annual BBQ and Band Fest, held April 20 and 21 this year, and the annual Cruizin’ 64 Car Show and Blues Fest that will be held Oct. 13 and 14 this year. This event also includes a chili cookoff. Information is also available on the site about Main Street’s grant and Brick Paver programs, both designed to enhance downtown Sallisaw.